Celebrate Memorial Day, Father’s Day, Fourth of July, and good old summertime! 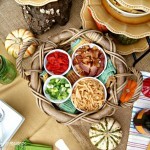 Here’s how to throw a Summer Cookout Party! 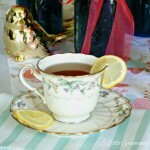 Summer tablescape ideas, cookout menu, and a Southern smoked rib recipe! As soon as warm weather hits my husband begins to rub his hands in delight at the upcoming barbecue season. He gets great joy from creating Southern smoked barbecue and ribs for our family to enjoy. While he is working on the meat, the cookout side dishes always fall to me. 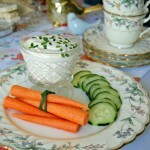 We love working together to prepare a delicious and memorable occasion. Today I want to share with you how we planned a “Which Que Are You?” summer cookout party. It’s a fun way to celebrate all the summer holidays including Memorial Day, Father’s Day, July 4th, and Labor Day! I also grabbed a bottle of Heinz BBQ Classic Sweet & Thick sauce to add to the taste testing roundup. Our family appreciates that all of Heinz BBQ is 100% Natural and has the great taste we can trust. 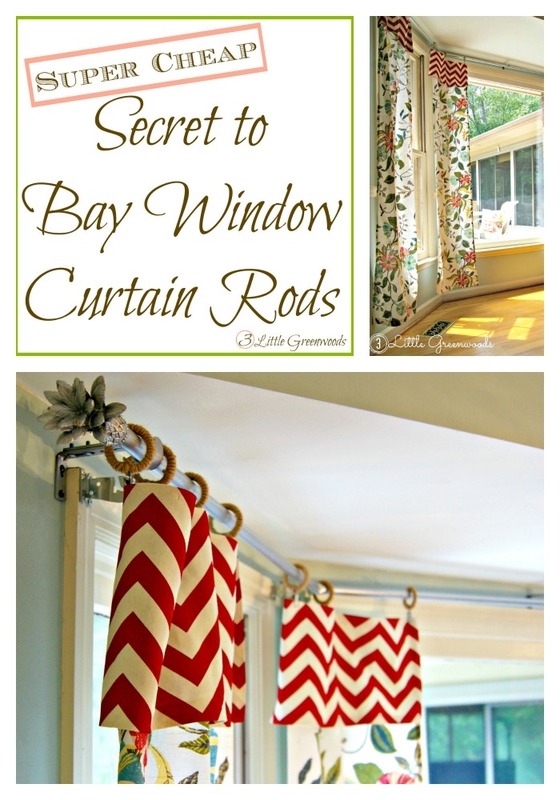 Just because you are celebrating Memorial Day or Fourth of July you don’t have to decorate with traditional red, white, and blue. 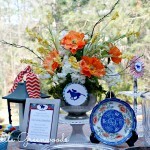 Summer cookouts are a good time to try out a bright tablescape color combinations. I’m thinking outside the traditional colors and using orange and blues instead. Together these colors simply pop off the table. 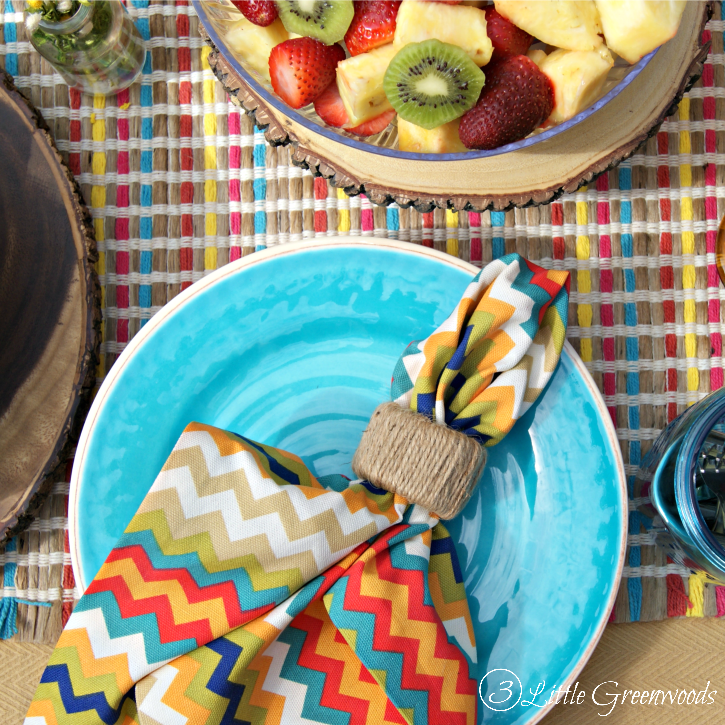 I love these chevron napkins and bright blue plates. 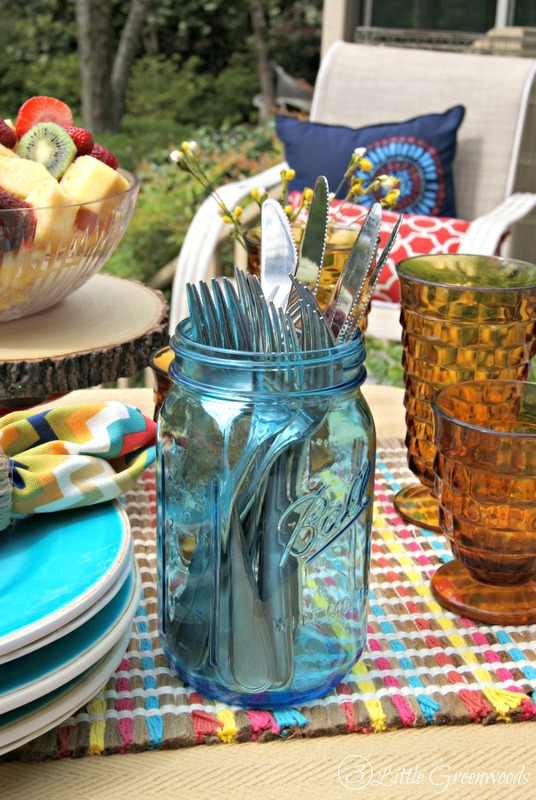 A large blue mason jar coordinates with the color scheme and makes a handy utensil holder. An awesome party begins with a perfect cookout menu! 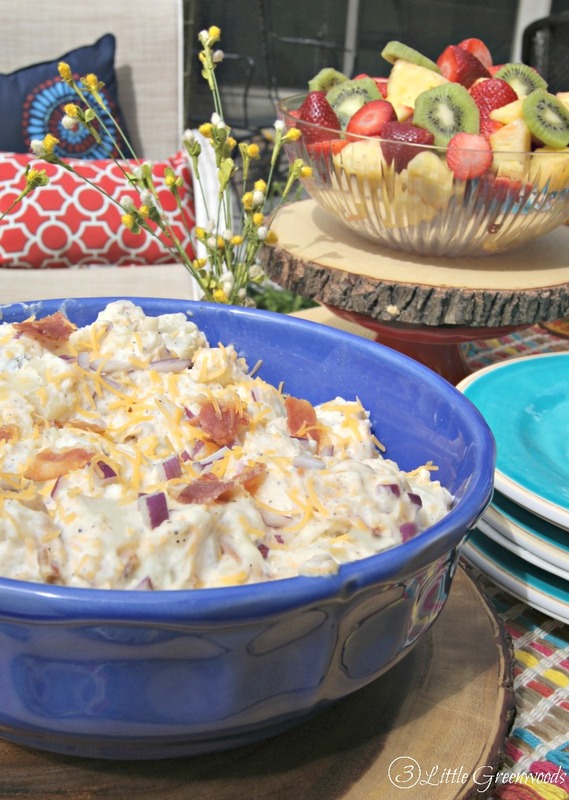 Southern smoked barbecue, a creamy potato salad, and a bowl fresh fruit is a great start. Boil potatoes in salted water until tender. Drain potatoes and gently mix in remaining ingredients. Refrigerate overnight to combine all of the flavors. 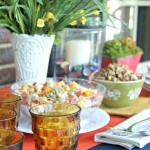 Now that the table is set and the side dishes are out it’s time for the barbecue party to get started! Let the Barbecue Taste Test Begin! 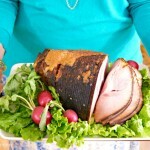 Honey is meticulous about his smoked pork meat so we always have to wait until it’s perfectly tender before we can eat. It’s always worth the wait. Heat smoker to 240 degrees. 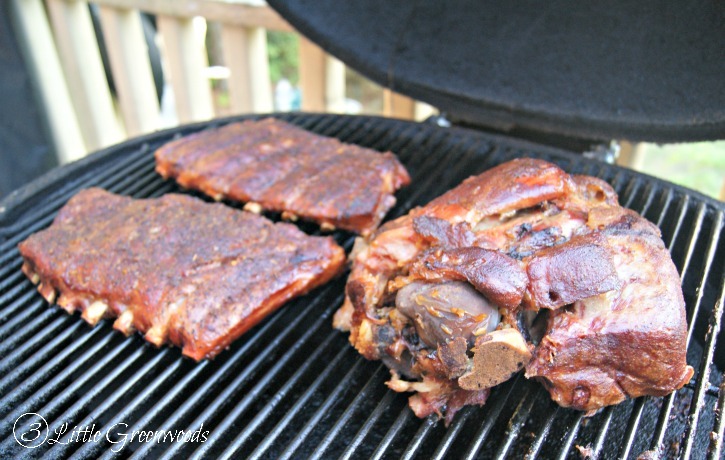 Wrap racks of ribs in heavy duty tinfoil and cook for 2 hours. Unwrap ribs and place back into smoker for another hour. Baste with 1/2 a cup of Heinz’s Carolina barbecue sauce as the ribs finish cooking. We love that Heinz teamed up with Sam Jones, of the legendary Skylight Inn BBQ in Ayden, North Carolina, to craft Heinz Carolina Vinegar Style BBQ Sauce. It is so yummy! 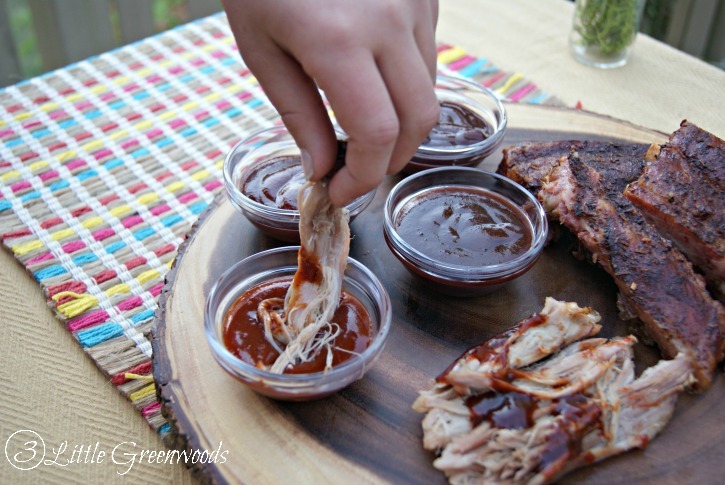 The smoked pork barbecue was left plain for the “Which Que Are You?” barbecue sauce taste test. Our family and friends loved sampling each one to find their favorite. 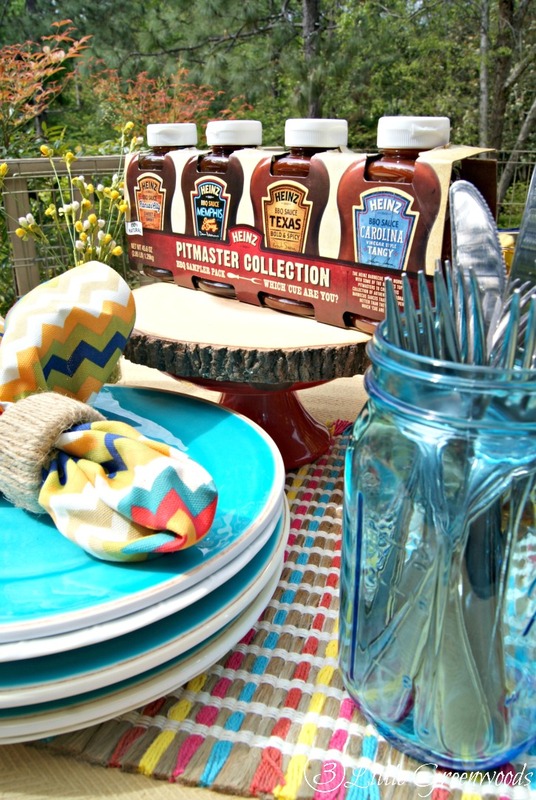 Heinz Pitmaster Collection BBQ Sampler Pack turned our ordinary summer cookout party into fun and sticky bbq sampling fiesta! Don’t tell my Carolina relatives but I’m a big fan of the Kansas City sauce. 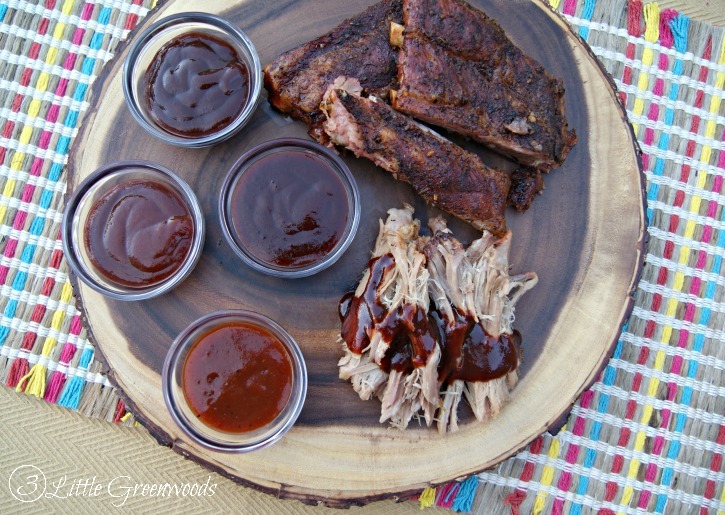 It’s a classic barbecue sauce with a blend of sweetness, spice and tang. I love how thick and rich it is! Each sauce was so delicious. Our guests could barely wait until I had taken all my pictures of this yummy barbecue before they started picking and pulling and dipping the smoked pork! With Memorial Day, Father’s Day, and July 4th right around the corner I hope you have been inspired to throw you own summer cookout party! 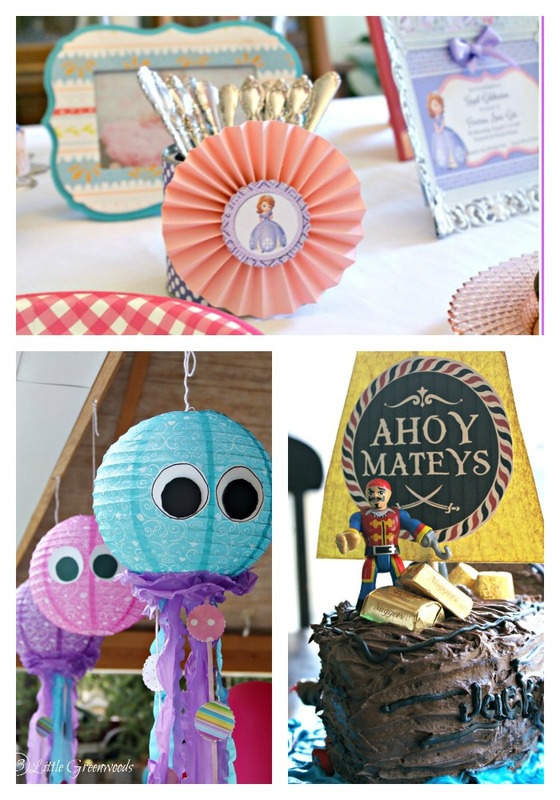 Use the party planning tips shared in this post to make the summer special. Don’t forget to pick up Heinz Pitmaster Collection BBQ Sampler Pack and make it “Which Que Are You?” taste testing party to double your fun! 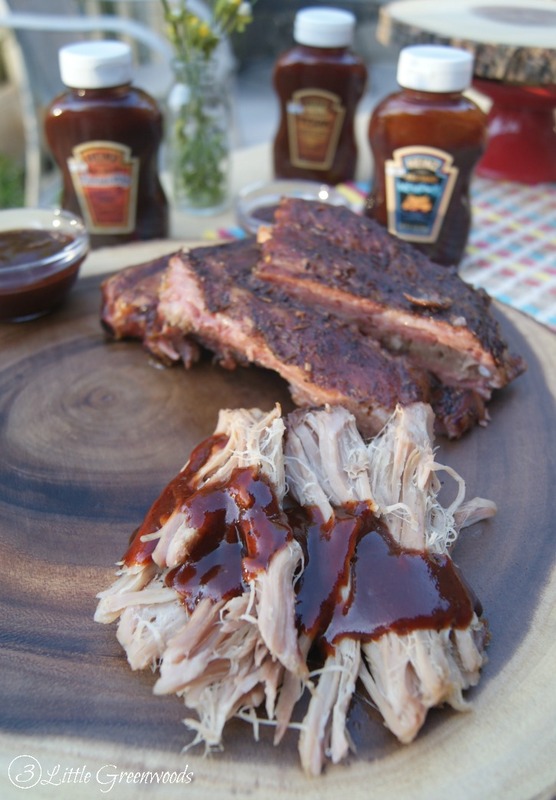 Check out other recipe and party ideas using Heinz BBQ sauces here! Thanks so much for your fun place to party! 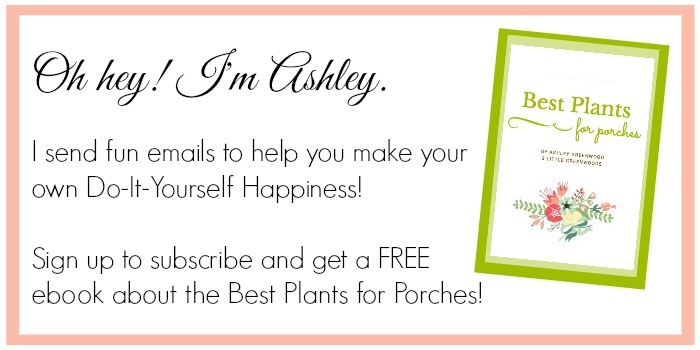 Oh yum Ashley! It all looks so good and pretty too. I love ribs and love hosting summer cook outs. Pinning. Thanks for sharing with SYC. 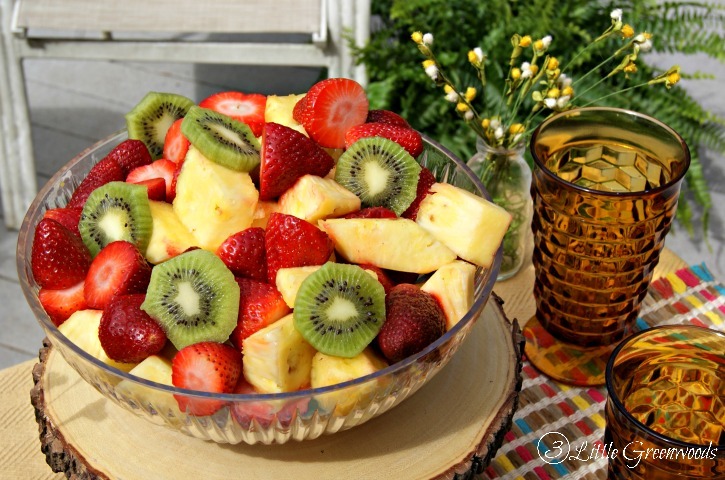 We always look forward to summertime when we can host our family and friends with cookouts! Thanks so much, Jann!